Theodore Herzl is buried on Mount Herzl, which also houses the Herzl Museum and the graves of other famous Israeli leaders. Newly renovated, the museum traces Herzl's life, from devout assimilationist to figurative father of the modern state of Israel. 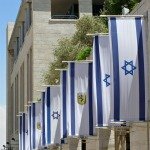 "In Basle I founded the Jewish state . 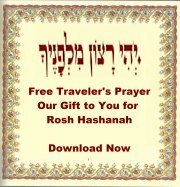 . .
Herzl was born in Budapest, but moved to Vienna as a young man. There, he became a respected journalist and playwright. Although a fervent secularist, Herzl was profoundly shocked by the Dreyfus affair. (At least, that is how the story goes. Historians actually dispute this, and claim Herzl propagated this version only years later, once the Dreyfus affair had already become a cause célèbre.) Whatever the reason, Herzl became convinced that the only solution to anti-Semitism was the establishment of a Jewish state. Jewish leaders were not convinced, especially given Herzl's complete rejection of the Jew faith and traditions (he even failed to have his son circumcised). 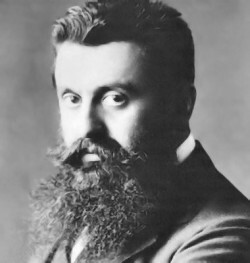 Nevertheless, in 1897, Herzl organized the First Zionist Congress in Basel, Switzerland, and worked tirelessly in support of his cause until his death in 1904. All of his children and his grandson met a tragic end. 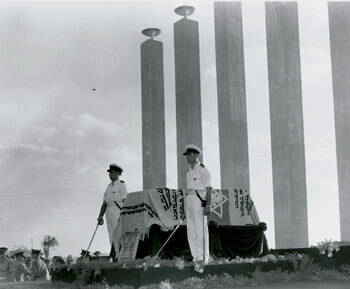 In accordance with his wishes, the Israeli government arranged to have Herzl's remains reinterred in Jerusalem in 1949. Mt. 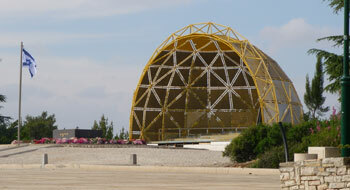 Herzl is adjacent to Yad Vashem and the military cemetery. In addition to Herzl's tomb, Yitzhak Rabin and his wife, Golda Meir, and many other Israeli dignitaries are buried here. The Museum is located just inside the entrance to Mt. Herzl. 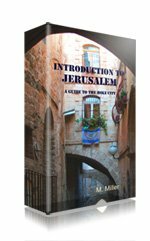 It includes a replica of Herzl's study and features a very well done audio-visual presentation on the history of Zionism. Although the museum is small, it is very informative. In addition, the grounds are nicely landscaped, so this is a pretty place to visit in the spring. Adults, 25 nis; Senior citizens, students, children over 6 and soldiers, 20 nis; children under 6 free. Museum tours in Hebrew, English, Russian, French, Spanish or German can be arranged in advanced by calling 02-632-1515 or contacting museum@wzo.org.il. The tour lasts about an hour and 15 minutes.